Alizabethy - Card Making Addict! : Lucky, Lucky Me! 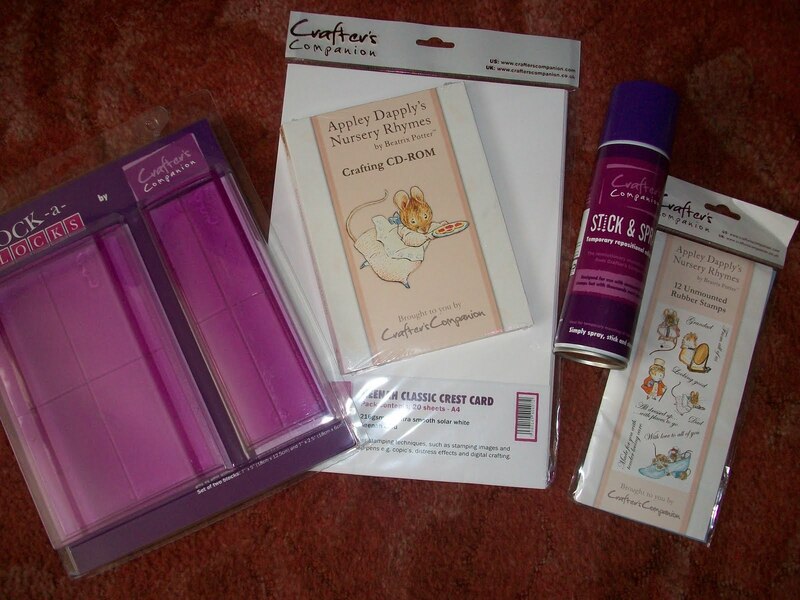 I had a parcel waiting for me today when I got home from work- I have won the Crafters Companion Beatrix Potter competition from Cardmaking & Papercraft magazine!!! In this pile of goodies I received 12 Appley Dapply Nursery stamps and a matching crafting CD-Rom plus a set of 2 large Rock-a-blocks, a can of stick & spay and 20 sheets of card - what a fabulous prize. I can't wait to try them out!!! My First Play with Appley Dapply! Having a bit of an OwlFest! Are Big Stamps On Trend??? Watching the World Go by! A Pink Castle for a Little Princess!